I cannot overstate the significance of today’s New York Times editorial board endorsement of the elitist scheme to ban large denomination cash from public circulation. This is the latest example of the editorial board putting the interests of the establishment ahead of the citizenry, while at the same time employing a nonsensical argument to support its position which channels emotion rather than logic. What we learned from that piece was that the New York Times was frantically working to protect and support the political establishment from an insurgent Sanders surge. Similarly, what we see in today’s article is the same editorial board scrambling to protect the financial and economic establishment. So why do I come to such a conclusion? Let me explain. Central banks understand that everything they’ve done so far has failed, so they are becoming increasingly desperate. Part of this desperation has translated into a negative interest rate policy (NIRP) in various parts of the world. The only problem with aggressively implementing NIRP is that citizens can pull their money out of the banking system in response to being charged a percentage of deposits by the criminal, bailed out banks. If this happens, negative interest rates can’t “work” (not that they would boost the economy anyway). The above is obvious. The correlation between central banks launching a negative interest rate policy and global “leaders” suddenly becoming concerned about criminals using cash is no coincidence. The New York Times editorial board cannot be so financially illiterate that they don’t know this. As such, the only logical conclusion one can reach is the editorial board is intentionally attempting to lead its hapless readers off a cliff into monetary fascism. Few Europeans use the 500-euro note, and most Americans rarely encounter the $100 bill. Yet hundreds of millions of these notes are in circulation around the world, where they are often used by drug cartels, corrupt politicians, terrorists and tax cheats to evade law enforcement. That’s why officials in Europe and elsewhere are proposing to end the printing of high-denomination bills. Wait, the New York Times editorial board is suddenly worried about corrupt politicians? Didn’t it just endorse Hillary Clinton? Getting rid of big bills will make it harder for criminals to do business and make it easier for law enforcement to detect illicit activity. Consider this: a stack of 500-euro notes worth $1 million weighs just five pounds and can be carried in a small bag, whereas a pile of $20 bills worth the same amount would weigh 110 pounds and would be much more difficult to move around, according to a recent paper from Harvard’s John F. Kennedy School of Government. Brilliant. I suppose we’re supposed to believe that criminals are so stupid they won’t figure out a way around the cash ban when trillions of dollars are at stake. Not to mention the fact that drug cartels and terrorists systematically use the banking system to launder billions and no executives ever go to jail. If anything, any cash ban will merely ensure the banks obtain a total monopoly on criminal business. Lawrence Summers, the former Treasury secretary and former adviser to President Obama, has argued that the United States should get rid of the $100 bill; about 65 percent of these bills are held outside the country, according to a study published by the Federal Reserve. But that change could be disruptive because the $100 bill is used widely overseas for legitimate purposes, too. And as long as the E.C.B. continues to print 200-euro and 100-euro notes, criminals could switch to those bills. That’s why such efforts should be coordinated internationally. Really New York Times? 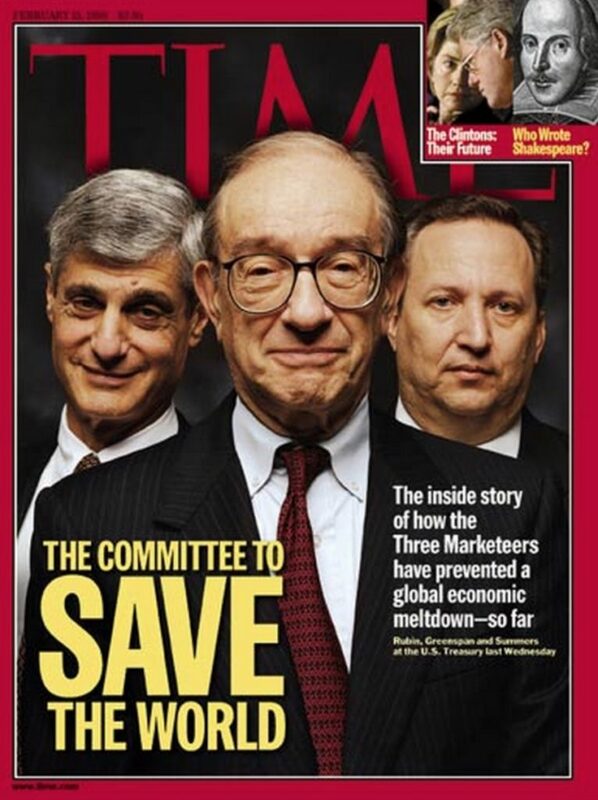 Larry Summers? This man’s brain is like an economic plague that the world can’t seem to extricate itself from. Using him to support a cash ban speaks volumes as to where these people are coming from. On the other hand, he did save the world once, so perhaps he can do it again. Critics who oppose such changes say the big bills make it easier for people to keep their savings in cash, especially in countries with negative interest rates. Some people also prefer not to conduct transactions electronically because they fear security breaches. But these are relatively minor burdens compared with the potential benefits of reducing criminal activity and tax evasion. This is the economic version of “you need to trade liberty for safety,” which has been used by the U.S. security state to trample upon civil liberties since 9/11. Again, the fact the New York Times is suddenly using this argument to ban cash tells you all you need to know about where the editorial board’s allegiance lies, and it’s not with the American people. Once again, the banking system is where the real criminal activity seems to happen, and the fact no bank executives are ever jailed for such offenses proves that the government could care less about cracking down on crime. This is all about shoving the public into a digital financial ghetto. There is no need for large-denomination currency. Britain’s top bill is the 50-pound note ($72), which has been perfectly sufficient. The United States stopped distributing $500, $1,000, $5,000 and $10,000 bills in 1969. There are now so many ways to pay for things, and eliminating big bills should create few problems. The New York Times editorial board has once again exposed itself as a dangerous and duplicitous organ of entrenched established interests against the public. It must be exposed.